Window washing is a big project to undertake on your own. You may not realize just how big a project it is until you’ve been laboring for hours and wondering how you’re going to get the skylight clean. But we’ll show you why you ought to hire professional window washers in Chicago to clean your windows for you. Especially if you have a large, multi-story home or business. Cleaning windows isn’t rocket science, but you will be able to tell the different between a professional window wash and an amateur one. Professional window washers in Chicago go the extra mile by cleaning more than just the glass on your window. Your window sills and shutters will shine like they were just installed. For homes and businesses that have more than one story, washing windows can actually be quite dangerous. Professional window cleaners have the equipment and procedures to keep themselves safe. It’s really not worth it to risk your safety to save a few bucks. And after taking that risk, your windows won’t be as clean anyway. If you want to do a window washing right, you need the right equipment. Besides the extra time you’ll have to take out of your day, you’ll have to deal with the hassle of picking up all the right equipment and cleaners. Professional window cleaners already have the manpower and the equipment to do the job. Have you ever washed a car window or a glass table and been frustrated when, just as the window dries, an ugly streak appears? Now imagine repeating that process over every single window in your home or business. The professionals have special equipment and the right formulation of chemicals to ensure that your cleaning is streak free. For the best window washers in Chicago, contact the professionals at Prime Time Window Cleaning. 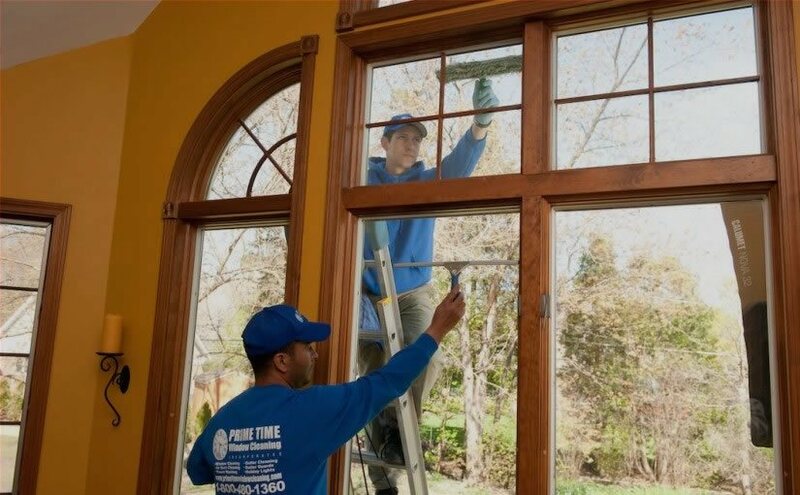 We’ve been in the business of washing windows for Chicago and the surrounding area for years. We have everything you need to maintain cleans windows for your retail store, auto dealership, office and more. 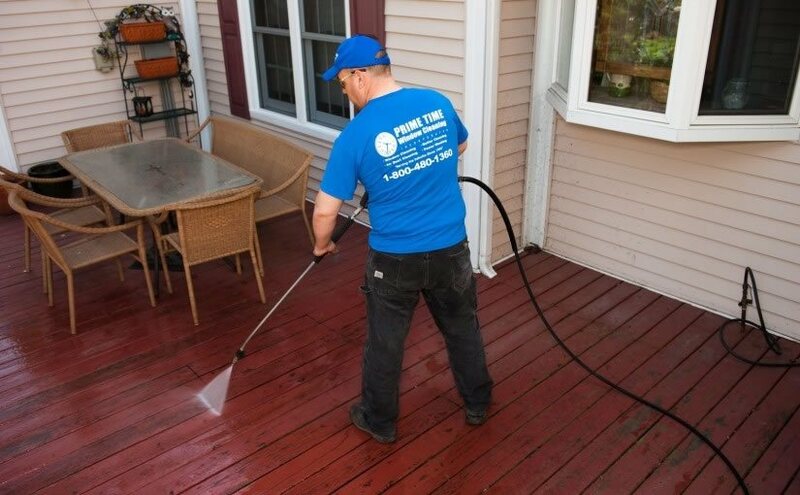 We also provide pressure washing, gutter cleaning, and more. To learn more about our services, or for more helpful tips on window cleaning, browse the rest of our website. Or you can call us today at (855)635-5591!